Beautiful Barbie is determined to become a princess! That's the reason she enrolled in the Charm School! She's going to learn how to act like a real princess! 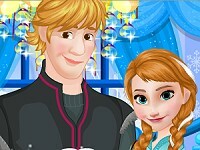 Can you help Barbie to progresses and pass the final tests of the School of Charm for princesses? Start by learning how to properly serve the tea without spilling a single drop cause a true princess must know how to serve tea gracefully! Once you complete the first challenge successfully, help her to learn how to walk gracefully like a true princess! Help Barbie to walk and keep the pile of books on her head at the same time! The third challenge is to arrange a table and when you complete this task too, you get to help her choose a suited outfit for the graduation ceremony! Style up her hair and complete her look with elegant accessories and remember that Barbie will receive points at every class she attends! Do you think that Barbie will graduate first in her class thanks to your help and so become a true princess? 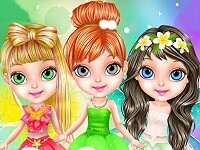 Play this challenging new free online flash Barbie princess charm school simulation & dress up game for girls here in Minigames.com to find out!